The Widmer Ultrascan 3600 Counterfeit Money Detection System saves time and money. The Ultrascan Model 3600 is our most sophisticated currency verifier and is intended for businesses where high value transactions take place. The Ultrascan is fast, has a small footprint, and provides excellent durability.The Ultrascan Model 3600 provides the highest degree of reliability in the industry with a combination of custom designed sensors integrated into a single unit. The result provides for the first time, a unit which is capable of detecting even the most sophisticated counterfeit notes, including previously undetectable "Supernotes".The Ultrascan Model 3600s combination of unique sensors ensures extreme accuracy and reliability in detecting counterfeit currency.The Ultrascan Model 3600 is simple to operate providing the user with a green light for genuine notes and a red light with a buzzer to identify suspect notes. 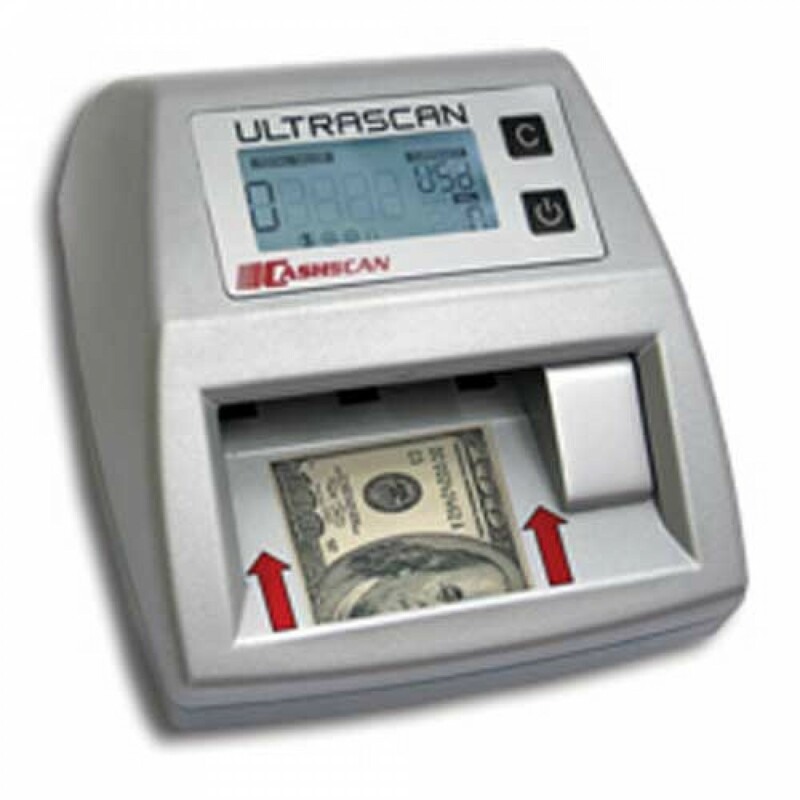 Just insert a note and in less than a second you will have an answer.The Ultrascan Model 3600 is easily upgradeable for future releases of U.S. Currency.Great for any business where high value cash transactions take place and accuracy, size, speed and durability are a concern.